Each year 15 young men at Buckeye Boys State interested in learning about Law Enforcement are chosen by the Ohio State Highway Patrol to spend five days following Boys State at the Ohio State Highway Patrol Academy in Columbus, Ohio, for an intense mini-training course on the operations of the Ohio State Highway Patrol called "Junior Cadet Week". "Junior Cadet Week" is a joint program of the Ohio State Highway Patrol, Ohio American Legion, American Legion Buckeye Boys State, Ohio American Legion Auxiliary, Ohio American Legion Buckeye Girls State, and the Ohio State Highway Patrol Auxiliary. 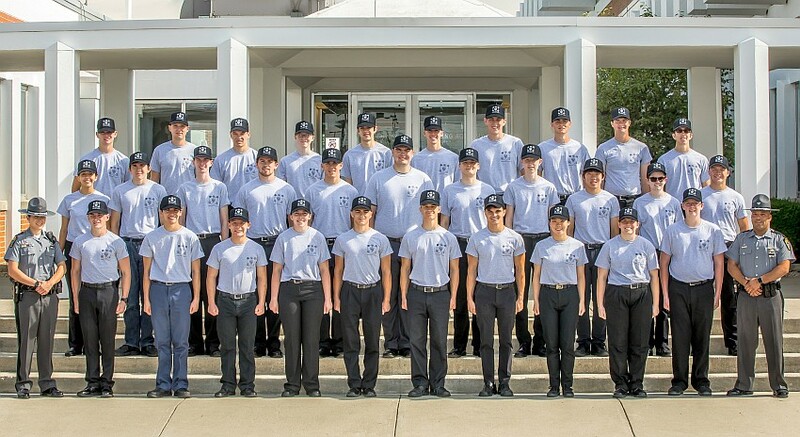 At "Junior Cadet Week", the 15 Boys State Representatives, join with 15 representatives from Buckeye Girls State who were similarly chosen along with family members, chosen on the recommendation of Ohio State Highway Patrol personnel or American Legion members. The Ohio State Highway Patrol provides the training facilities, staff, and curriculum. The Ohio State Highway Patrol covers the cost of food, housing, and program materials for each cadet selected. During the week Ohio State Patrol Troopers will provide classroom and hands-on training in topics such as firearms safety, crash investigation, traffic stops, leadership, defensive tactics, and criminal law. Junior Cadets will also get to experience demonstrations from the Highway Patrol's special operations sections such as Aviation, SRT, and Criminal Patrol. "Junior Cadet Week" culminates in a formal graduation ceremony attended by the Superintendent of the Ohio State Highway Patrol, Ohio American Legion Department Commander, Buckeye Boys State President, Buckeye Boys State Director, Buckeye Girls State Director, and members of the Ohio State Highway Patrol Auxiliary. Interested applicants must be highly motivated male and female students entering their senior year of high school. On-line and homeschool students are also encouraged to apply. They must have also have a recommendation from an Ohio State Patrol employee or an American Legion member. The program is limited to the first 50 participants.